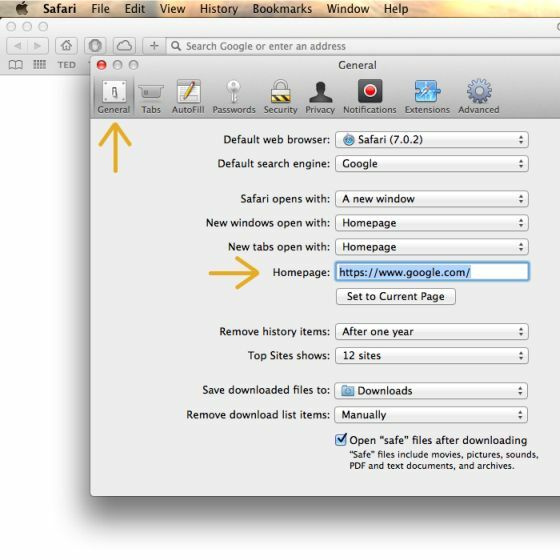 This page is a comprehensive guide, which will remove adware and browser hijackers from Apple Mac OS X machine. From the Safari menu, select “ Preferences“. 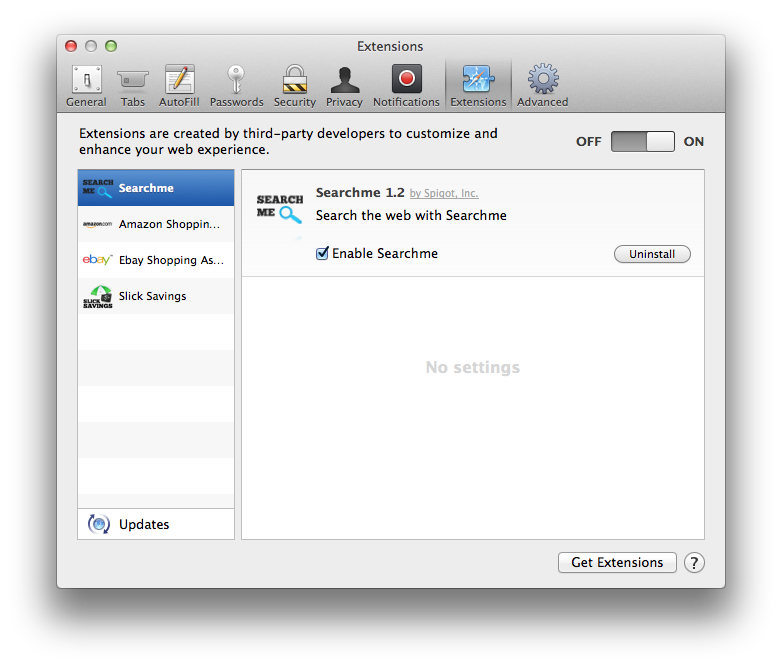 In the Safari Preferences window, click the “ Extensions” tab. Find any unknown plugin, then click on the “Uninstall” button. This infection can add more than one extension, it is recommended that you remove all unknown extensions from Safari.Known malicious extensions: MacSaver, MacVX (and variants like MacVaX), MacCaptain, MacPriceCut, SaveOnMac, Mac Global Deals or MacDeals, MacSter, MacXcoupon, Shop Brain (or variants like SShoP Braaiin), PalMall, MacShop, MacSmart, News Ticker Remover, Shopper Helper Pro, Photo Zoom, Best YouTube Downloader, ArcadeYum, Extended protection, Video download helper, FlashFree or GoldenBoy. Next, select “ Preferences“, go to the “ General” tab and change the “ Default Search Engine” to Google. Then, in the “ General” tab, find the “ Home Page” and change it to “google.com”. 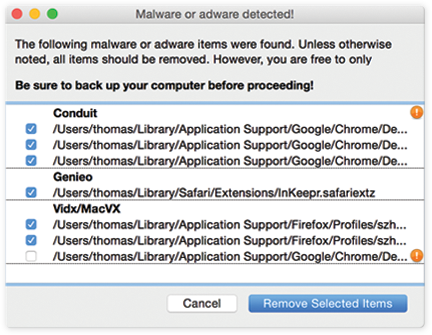 If you are still experiencing issues with the pop-up ads in Safari, Firefox or Chrome, we will need to run a scan with Malwarebytes Anti-Malware for Mac. This step needs to be performed only if your issues have not been solved by the previous steps. Malwarebytes Anti-Malware for Mac is a powerful tool which is designed to remove adware and browser hijackers from Apple Mac OS X. 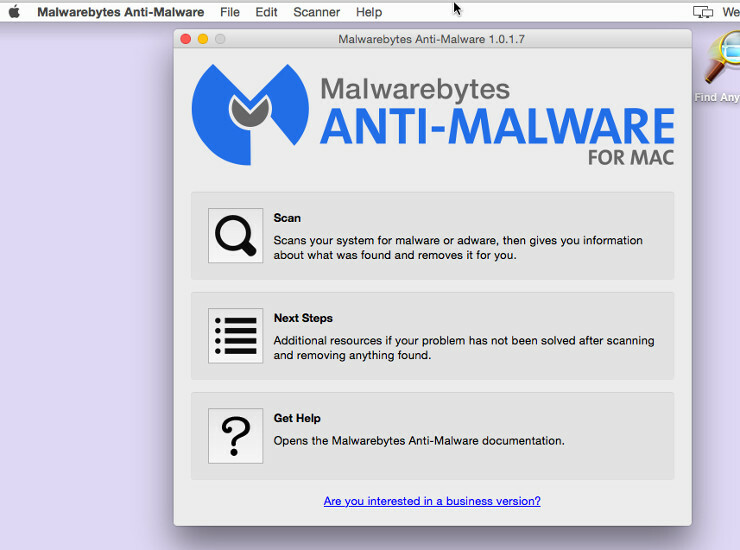 One you have downloaded Malwarebytes Anti-Malware for Mac, click on the “ Scan” button to start a system check-up. When the scan has completed, click on the “ Remove Selected Items” to remove all the malware that Malwarebytes has detected.